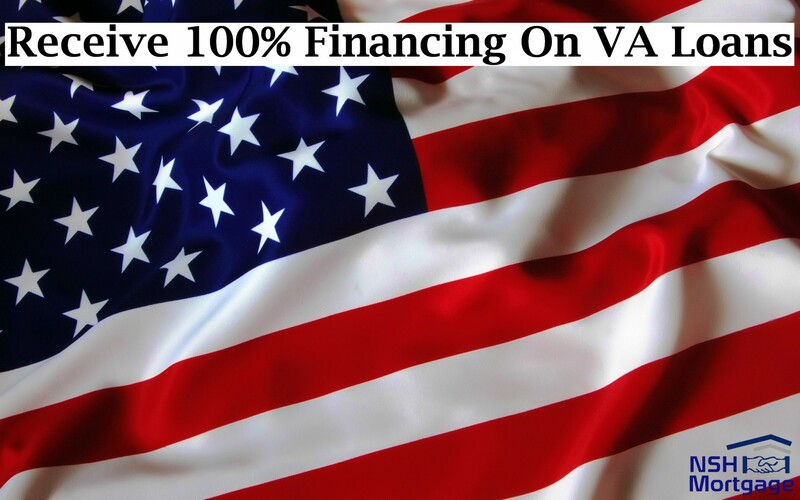 100% Financing On VA Loans. NSH Mortgage has the knowledge and tools to help you gain the best financing options on your VA loans that is available to you.Members of the U.S. armed forces have an advantage over the non-military home buyer or homeowner. The VA home loan is exclusively for veterans and active duty service members. This loan comes with low mortgage rates and requires zero down payment. It is a small token of appreciation for all who have served. But there is a benefit to this program that is often overlooked: a surviving spouse’s eligibility to purchase or refinance a home using a fallen veteran’s benefit. So far this decade, more than 11,000 surviving spouses have used a VA home loan, according to the U.S. Department of Veterans Affairs. There is no advantage or benefit that can fully repay the service connected loss of a spouse. But these programs can empower survivors to move forward and start again. VA mortgage options are widely available to surviving spouses, whether they already own a home, or want to purchase a new one. The VA home loan was created more than 70 years ago to empower service members to buy homes and readjust to life after World War II. More than 22 million VA home loans later, this benefit still serves those who have served, with more lenient lending guidelines than offered by any other types of mortgages. The biggest benefit is that the eligible individual does not need a down payment to qualify for a home purchase. And, mortgage insurance is never required. This could save the home buyer hundreds of dollars per month, but VA loan advantages are not only for buyers. Current VA homeowners can refinance with another VA loan, often without income documentation or even an appraisal. The VA cash out loan is available to homeowners who want to refinance a non-VA loan into VA, or who want to tap into their home equity to raise cash for any reason. A VA cash out loan can even help the homeowner with FHA PMI removal. The same benefits are available to eligible surviving spouses. Buying a home as a surviving spouse can be extremely challenging. A VA loan makes it much easier to qualify. Understanding a little about VA loan eligibility is a good first step. Veterans and active duty service persons earn VA home loan eligibility by serving the following lengths of time. Once service members earn VA loan eligibility, they are eligible to use the benefit forever. In these cases, the surviving spouse can use VA loan eligibility to buy a home with zero down payment, just as the veteran would have. These spouses have an additional benefit, however. They are exempt from the VA funding fee and as a result, their loan balance and monthly payment will be lower. The VA streamline refinance lowers the rate and payment on an existing VA loan faster than with a traditional refinance. Typically, the lender will not ask for proof of current income, such as pay stubs or W2s. This can be the most important advantage for surviving spouses. Income can drop substantially when a spouse passes away. The remaining spouse could be locked out of a traditional refinance. The household income may have fallen too much to qualify for a new loan. But a VA streamline refinance does not inquire about income at all. According to VA, income qualification is not required, even when the mortgage holders have changed. However, lenders may ask for re-verification of income when only one applicant remains on the VA loan. Check with a few lenders because each may have its own guidelines. Surviving spouses are usually eligible for a VA streamline refinance when they meet the following guidelines. A VA streamline refinance is typically not available when the deceased veteran was the only one of the original VA loan, even if he or she got married after buying the home. Here, the surviving spouse would need to qualify for a non-VA refinance, or a VA cash out loan. A cash out mortgage through VA requires the spouse to meet home purchase eligibility requirements. If this is the case, the surviving spouse can tap into the home’s equity to raise cash for any purpose, or even pay off a FHA or conventional loan to eliminate mortgage insurance. For those who are eligible, the VA streamline or VA cash out refinance can be an ideal way to improve financial stability after the death of a spouse who has served.